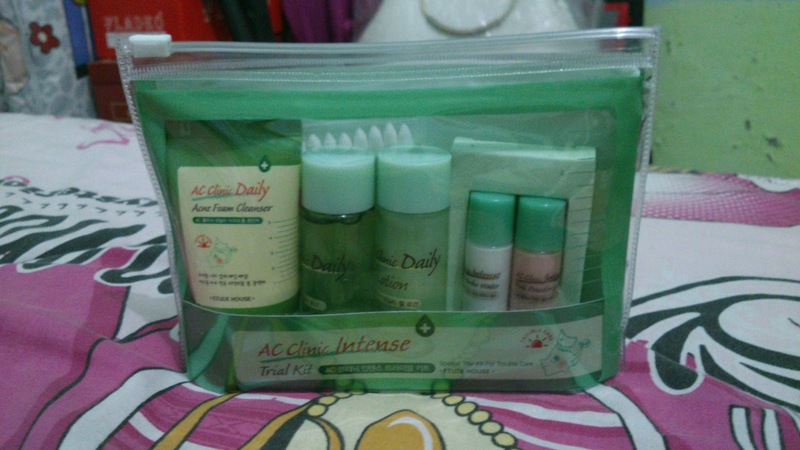 This is AC Clinic Intense Travel Kit from Etude House, brand from Korea. 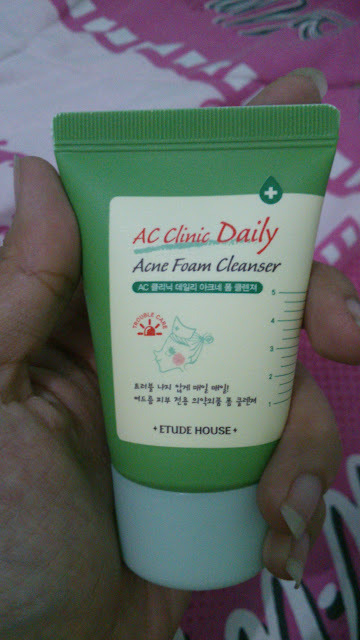 I bought it about $8 or IDR 82.000 and you get 6 items in mini size..
2. 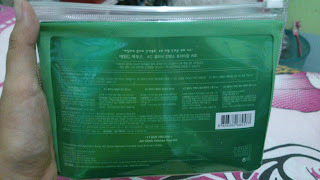 Gel lotion - a transparant gel no colour. 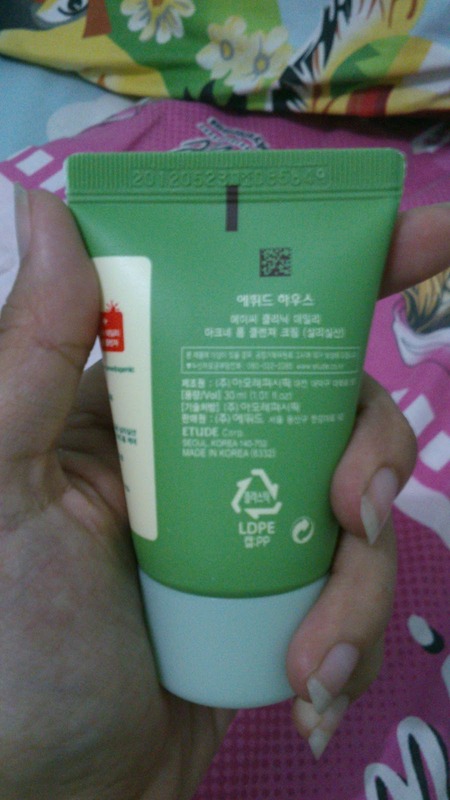 Like the name, gel lotion, its not very thick like gel but a lil bit watery like lotion... Euh, do u get what i mean? The gel lotion is not quick when absorb to your skin. So dont put it too much. 3. Toner - fresh toner. 4. Pink Powder Water - i use it 2x a day, at day and night. Don't shake the bottle. The powder will sink in the bottom and there's a layer of water on it. Dip the cotton stick into the bottom to get some powder and apply to the acne. 5. 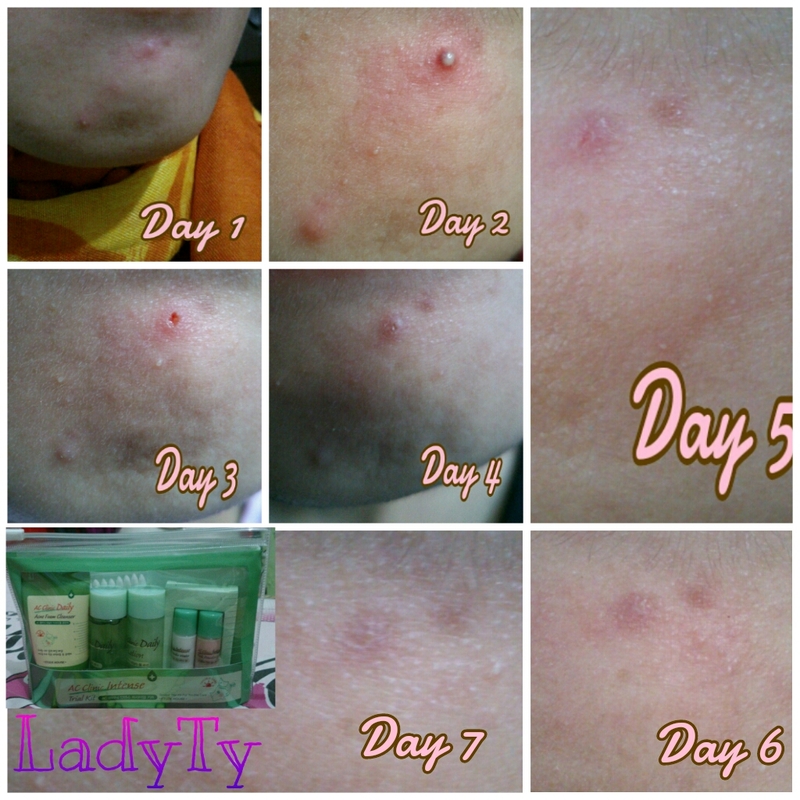 Pink Powder Spot - i use it at night and sleep with it. 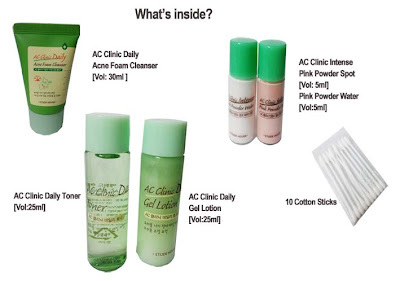 Same like the pink powder water, dont shake the bottle and apply just like it. 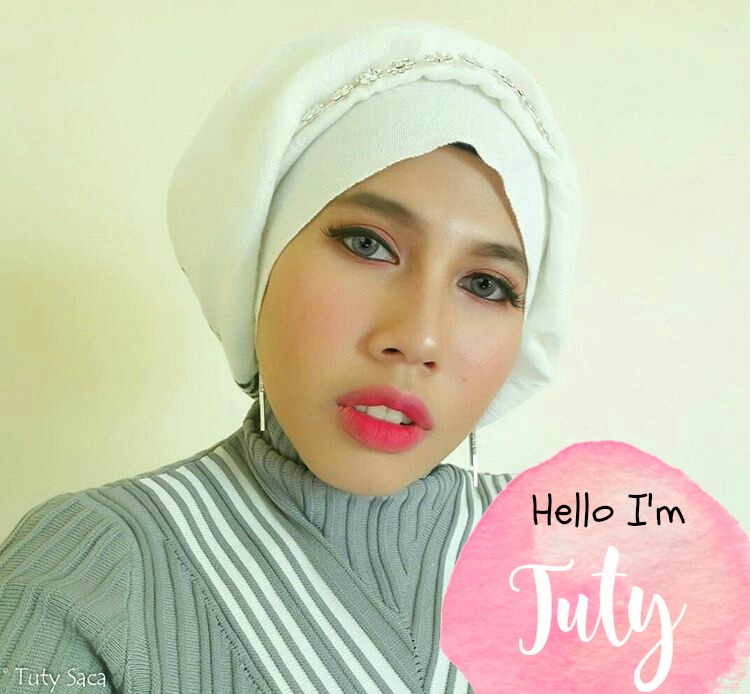 This is my experience using this product, NO EDIT AT ALL ! 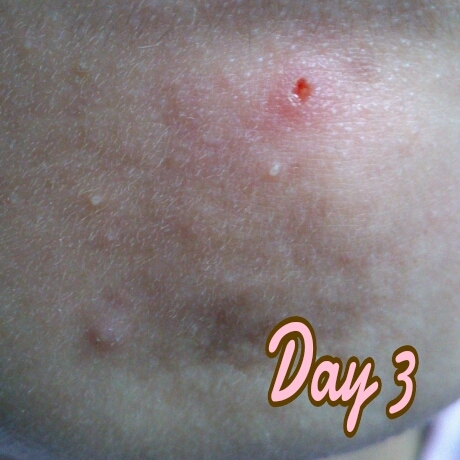 At this day, the acne which under my lips is bigger than yesterday and the eyes come out. The other one has no eye anymore. 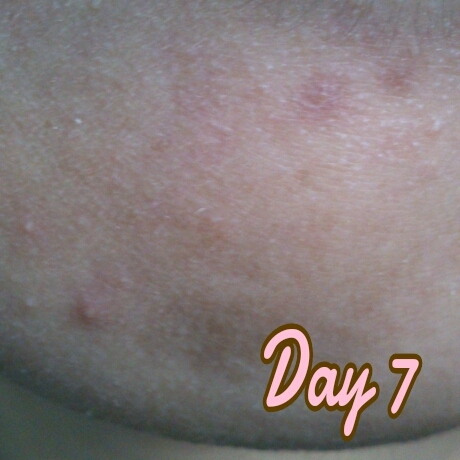 Now you can see the acne-wanna be between the acne 1 & 2, they get bigger. But there's another new acne-wanna be, heeuuyy !! 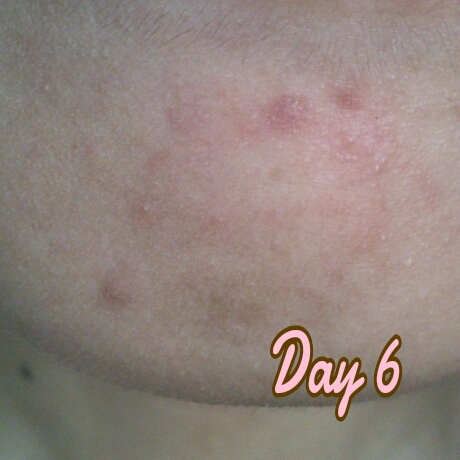 At day 5, acne 1 was smooth now and began to fade out but the acne 2 appear again ? 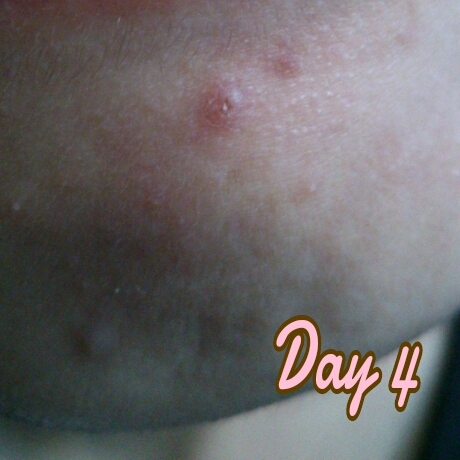 look at the eye of the acne, i thougt maybe at day 1 the eye of this acne was really small so it appear again? 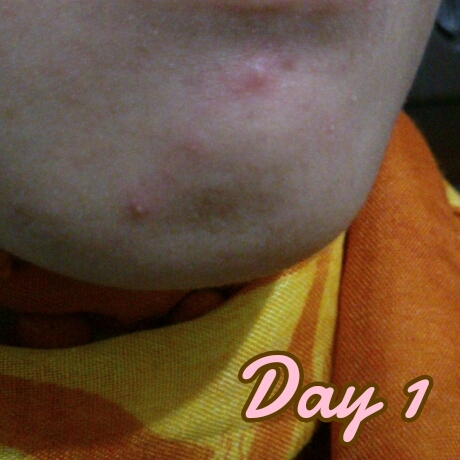 At this day, no change with acne 1, but at acne 2, the eye of the acne appear again? whats up yooo?? 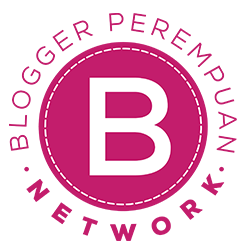 please visite my blog and if you like follow each other? lumayan cepet ya :D produk ini praktis banget >.< tp klo jerawatnya kecil2 nggak bisa ya?